As with everything in the landscaping business, the cost of everything will vary based on the size of your property, but we’ve attempted to control for that factor by listing most prices per 1000 ft2. It’s also important to keep in mind that so much of what we do in the landscaping industry is commodities based, and a large percentage of the prices we charge for things like mulch, mowing (our mowers are propane powered), travel to and from your location, fertilizer, and chemical services are based on factors we can’t control. With that being said, we’ve listed ranges for many of our services below based on dozens of contracts from the past few years to give you price ranges that are as accurate as possible. For a detailed explanation of what each of these services entails and why they’re important for your landscape, check out this post: What does a commercial landscaping contract include? Our crews typically mow our properties 28-32 times per growing season, and the cost of mowing depends on the size of the property and the type of mower used. Larger properties with level terrain call for larger mowers, which move fast and therefore have lower labor costs. On the other hand, tighter spaces with steep slopes or twists and turns often require smaller push mowers that take more time to cover the same amount of property than their ride-on counterparts. Typically, mowing prices run anywhere from $0.60- $6 per 1000 ft2, which again, all depends on your property's terrain and the size of the mower needed. 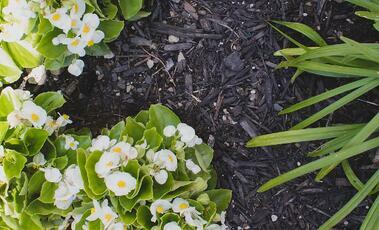 Each season brings new challenges and new needs for your landscape. At the start of every spring and fall, our team will thoroughly clean out your beds, removing dead plant material leftover from the previous seasons. In the spring, we edge your turf along the perimeter of buildings, beds, and hardscapes to make sure it looks as clean as possible. Throughout the autumn season, we clean up the leaves that fall from the deciduous trees throughout your property. The prices listed below will vary depending on the difficult of the cleanup and (of course) the size of the space. Want to learn more about why these services are important? The Schill team loves mulch, and you can tell by our popular review of 9 different types; it keeps your plants moist and cool in the summer heat and looks great too. The cost of mulch depends on your preferred type (natural, vs dyed; cut type), as well as how we disperse it—either laying it by shoveling it by hand, blowing it down, or dispensing it in large amounts by using a vehicle called a mulch mule. Typically, mulch runs about $48-$70 per yard. Pruning is a vital step in maintaining your plants’ health and size, and it’s something we typically do at least twice per season. We charge for pruning by the amount of time it takes to trim a tree or shrub, and we estimate this based on the size of the plant. Perennials and ornamental grasses often have parts that die off at least once per year, and removing them is often vital to making sure that they grow back healthy and look well-maintained. The cost of pruning and trimming these plants can run anywhere from $0.70 for simple dead heading to around $13 for the average tree. Soil nourishment is perhaps the biggest factor in determining the health of your landscape. Here at Schill, we us organic fertilizers to make sure your soil is getting the nutrients it needs to feed your plants well. We typically apply 1-5 rounds of fertilizer per growing season based on the needs of your turf, flowers, trees, and shrubs, and the price typically runs from $3-$4.50 per round per 1000 ft2. If your plants are in particularly bad shape or you just want to spot treat a few of them at a time, we also offer deep root feeding programs for trees and shrubs that range from $2-$8 per plant. Northeast Ohio is native to a host of insects and diseases that love to prey on local plants. Before we draft a contract or send you an estimate, we’ll do a detailed inspection of your property that will give us a pretty good idea of whether your plants are in immediate need of pest or disease treatment. Of course, disease and pest problems often spring up on us mid-season, so we typically like to include treatments in the initial agreement. Prices for disease and pest treatment can run anywhere from $2-$11 per plant per application, depending on its size. 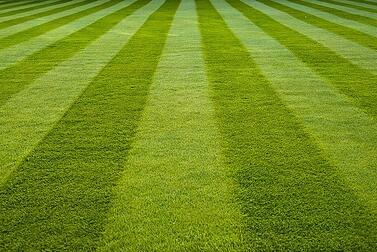 Lawn aeration is important for making sure your soil is getting enough oxygen. 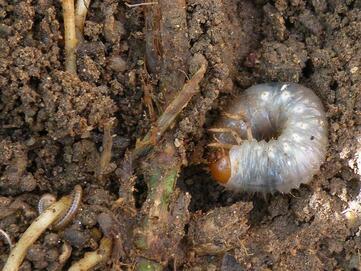 Turf that isn’t getting enough air can be more susceptible to disease and pests like grubs. If necessary, it’s a great investment in your property and generally costs about $15-$25 per 1000 ft2. Prices for installing, inspecting, or updating irrigation can vary widely based on how many heads are being installed, where they are being placed, and whether any hardscapes need to be displaced by your system and reinstalled. We love it when property managers and owners consider new irrigation services because when installed and monitored correctly, they can help you water more efficiently. Nevertheless, we like to let our clients know that it’s usually much more cost effective to invest irrigation when your landscape is first being installed so work doesn’t have to be redone. 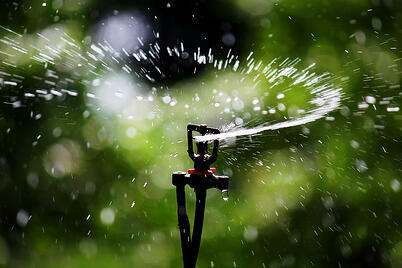 Having said that, here are some very broad price ranges for irrigation. Significant repairs and upgrades to existing systems can begin anywhere from $50 per hour for a simple service call and go all they way up to several thousand dollars, depending of course on the scope of the damage. Having a new system installed can start at $550 per zone and increase depending on your preferred level of technology. Want an estimate tailored to your property? 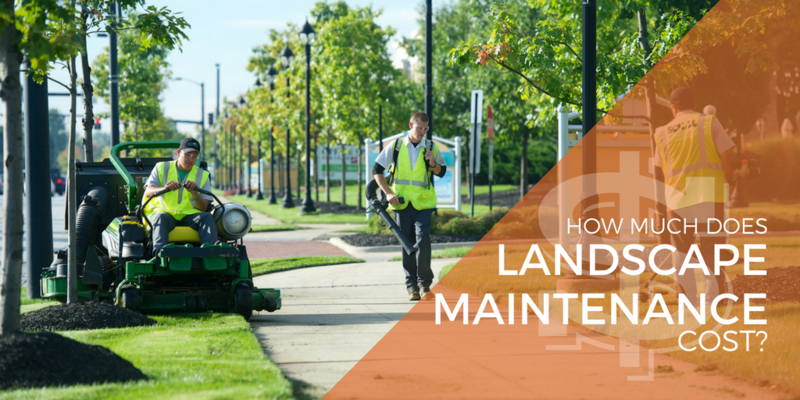 There are many other factors and services that can influence the cost of commercial landscape maintenance for your property, but the ones listed above are by far the most common. Do you have more questions? 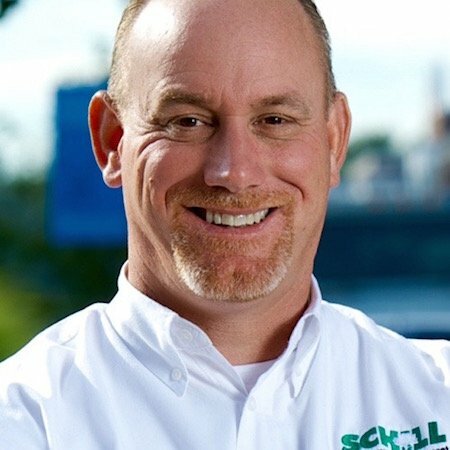 The Schill team loves meeting with property managers, business owners, and HOA board members in our communities to provide the perfect landscaping solutions. Contact us today for a no-obligation consultation, or take a look at our landscape hiring guide below.